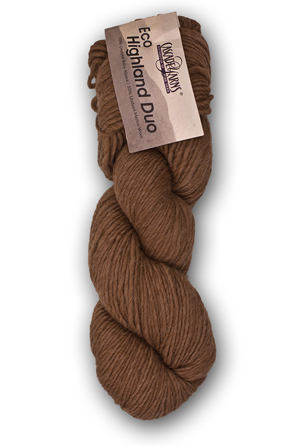 Eco Highland Duo is the perfect mix of Baby Alpaca and Merino Wool in a worsted weight yarn. This yarn is an incredibly soft, naturally spun, non-dyed yarn. The variety of natural shades makes this yarn perfect for accessories like hats and cowls.